East Japan Railway (JR East) have launched their latest “Joyful Train” service – the Shiki-Shima (lit. island of four seasons). Japan is famous for the efficiency and reliability of its train service, and the shinkansen, or bullet train is famous around the world. Less well known are Japan’s “Joyful trains”. These trains are designed to make travelling either a bit more fun, or a bit more luxurious. The idea started back in the 1960s, when an old style dining car was converted, with great success, into a traditional style Japanese restaurant with tatami mats and paper screens. The concept has evolved over the years, and now there are all manner of distinctive trains, including special toy-orientated trains; Pokemon, manga and other branded/themed trains; and trains designed to provide enhanced viewing, dining and sleeping facilities. The latest addition is the Shiki-Shima train. This is a “last word in luxury” 10 car train, designed for just 34 passengers. 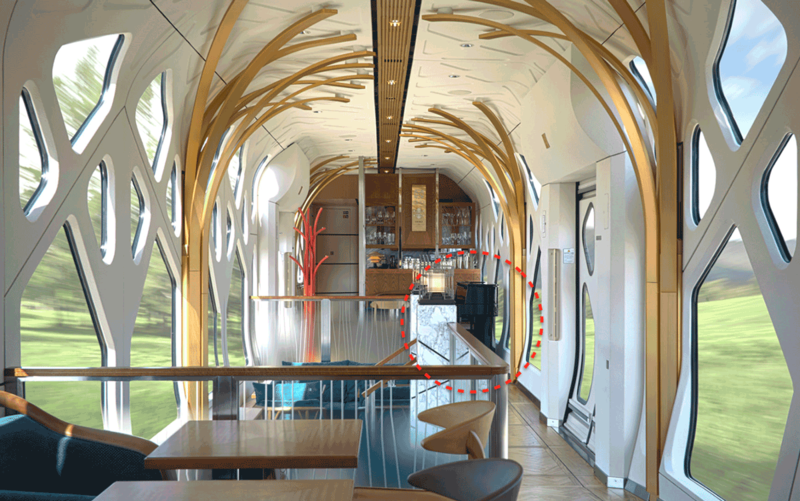 It has a stunning design with an observation car that offers almost a 360 degree view. The dining experience is overlooked by a Michelin starred chef, and the accommodation, comprising 17 suites, is five star all the way. A trip costs around 8,000 USD for two, and the train is booked up until mid-2018. The lounge bar, of course, features a piano, in this case a Yamaha N2, part of the AvantGrand series. This is an obvious choice for such a role as it is one of the best digital pianos around, it has a great sound, feels good to play and is both compact and contemporary in styling. Luxury travel seems to be synonymous with a piano bar. I wrote a piece about the piano’s role on-board cruise ships a short while back. And although there is less space on a train, wherever there is an exclusive bar, there is usually a piano. It is no surprise, therefore, to find one on the Shiki-Shima. The piano bar of the Eastern and Orient Express. Probably the most famous example of luxury train travel is the Orient Express. This started in 1883, and although originally a rather basic service, over the years the brand has come to symbolise affluence and style. 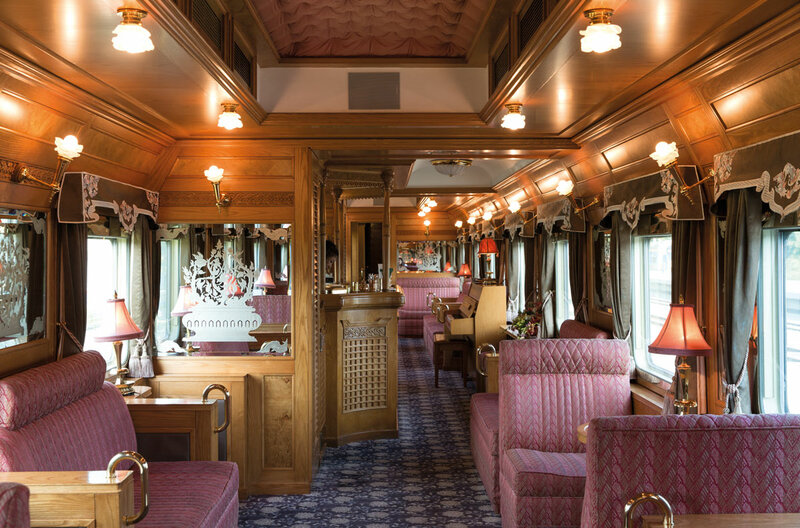 Following a turbulent history, the (Venice-Simplon) Orient Express is now operated by Belmond Group. It continues to run from London to Venice, and of course there is a piano in the lounge bar (a Schimmel baby grand). Belmond also run a train in the far east. This is known as the Eastern and Orient Express (equipped with an acoustic upright). Imperial Russia. Operates across Russia, Mongolia and China. The lounge features an acoustic upright. Swiss Classic Train (Switzerland). The bar carriage, although not luxuriously decorated, does have an acoustic upright. Grand Trans-Siberian Express. A German operated train running from Moscow to Beijing. Looking at the list above, there seem to be two types of luxury train: one harks back to the opulence of a bygone era, and the other looks forward with futuristic, hi-tec designs. Both strive to make the journey as important as the arrival, and interestingly, both still call on the piano to help engage and entertain the traveller. Are the passengers reuired to provide their own piano entertainment? I hope so, because that empowers the paying passengers the determine exactly what music they listen to.